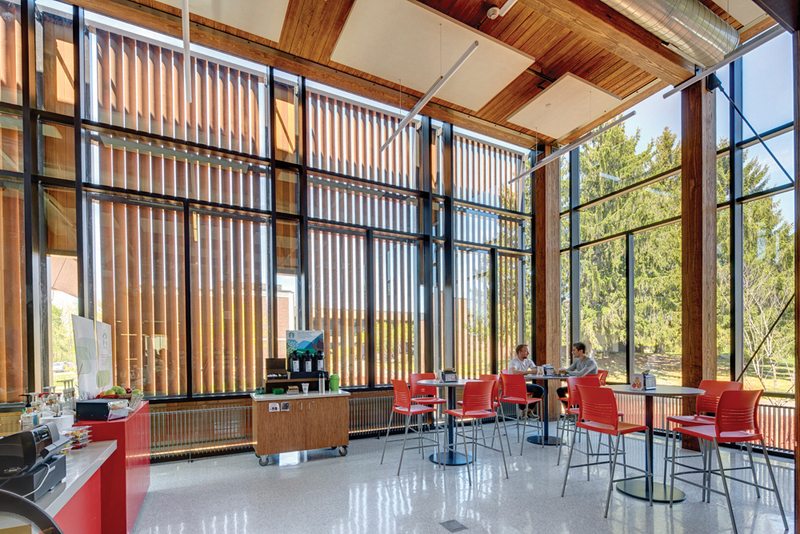 Corning Community College’s Library & Learning Commons project stemmed from the campus’ growing demand for collaborative student learning that could take place outside of the traditional classroom. 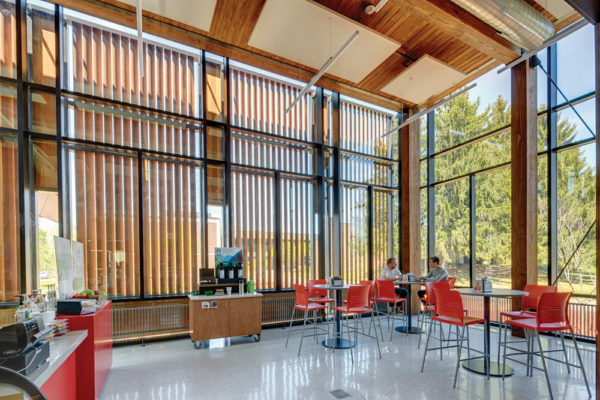 To achieve the College’s goals, the design team renovated the entire existing library and added a 7,800sf addition to the quad face of the existing structure. 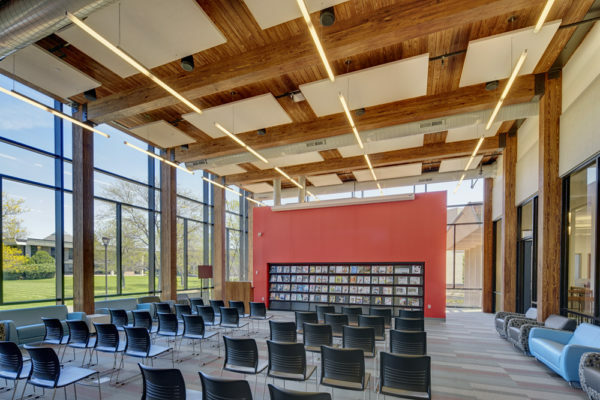 The renovated and expanded space totals 33,800sf and accommodates both the function of the traditional library and the newly centralized learning centers that now form the Learning Commons. The project creates a new hub for 21st century student-centered learning and is a centerpiece of the college’s strategic commitment to improve student success, provide e-learning and maximize resources.